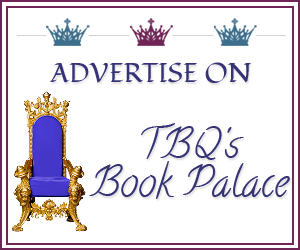 TBQ'S Book Palace: [Review]: "Prince of Wolves"
Jacque Pierce was just an ordinary 17 year old girl getting ready to start her senior year in high school in Coldspring, Texas. When a mysterious foreign exchange student from Romania moves in across the street, Jacque and her two best friends, Sally and Jen, don't realize the last two weeks of their summer was going to get a lot more interesting. From the moment Jacque sets eyes on Fane she feels an instant connection, a pull like a moth to a flame. Little does she know that the flame she is drawn to is actually a Canis Lupus, werewolf, and she just happens to be his mate; the other half of his soul. The problem is Fane is not the only wolf in Coldspring, Texas. Just as Fane and Jacque are getting to know each other, another wolf steps out to try and claim Jacque as his mate. Fane will now have to fight for the right to complete the mating bond, something that is his right by birth but is being denied him by a crazed Alpha. Will the love Fane has for Jacque be enough to give him the strength to defeat his enemy, will Jacque accept that she is Fane's mate and complete the bond between them? 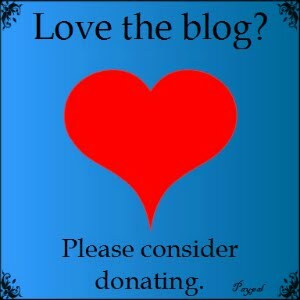 NOTE: E-book is free from Amazon and BN! I'll be honest—I had problems with Prince of Wolves. The writing was a bit awkward to read, and rather than feeling like I was in a story, it was more like I was being told that I was reading a story (does that even make sense?). I felt like the word choices didn't match the story being told, or the characters in it, and this bothered me, made the novel difficult to enjoy. However, despite these flaws, I still found myself flipping the pages, curious to see how things turned out. I didn't mind the basic storyline, and even found it a bit unique (personally, I've yet to read a shapeshifter book for YA were the mated-pair theme comes into play so strongly). But the writing did stand in the way a bit, keeping me from loving this book. Jacque's character didn't seem very solid to me; one moment she would say something this way, and the next she'd say it in a completely different way. The slang, the cliches and just odd words just didn't fit her, or her friends. At least in my opinion! Fane was okay, but again, not great as a character—I felt like I was missing something from him, too. Now Jacque's two best friends didn't exactly steal the show, either. Jen has a wicked (literally--dirty) sense of humor, but most of the time I felt her jokes and wit were buried under all the writing issues. I wanted to like her, and the things she said, but more often than not she was just in the background, barely there. Sally...well, I can't really tell you much about Sally. For whatever reason, nothing comes to mind—so either she wasn't properly “explained” or the description didn't stick. 3 STARS! Still, when I finished Prince of Wolves, I found myself wanting to pick up Blood Rites, to see what happens next. In spite of the issues I may have with this one, I think this series is going to become a bit of a guilty pleasure. Books that I can't help but wanting to finish, even if they might not be 5 star candidates. And that's okay with me because 3 stars isn't anything to be upset about in my opinion, and the fact that I do wish to read the rest of the series eventually is a pretty good sign! I received this e-book from Bewitching Book Tours. I love instant mating shifters. Might have to check it out. Have a great week.